Florida native Jake Owen is one of country music's rising stars with his first number one track on the country charts in his third album, “Barefoot Blue Jean Night” and tours with Keith Urban. However, given different circumstances, Owen might have been out on the golf course today instead of in the recording studio. He's a low single-digit handicapper and once shot 64 at his home course in Vero Beach, the Indian River Club.nny Chesney, Brad Paisley, Sugarland and Keith Urban behind him. When Owen graduated from high school, his plans were to play golf at Florida State University and eventually play professional golf. He was successful in the junior ranks and was working at the school's golf camp when his life suddenly changed. Owen was seriously injured in a wakeboarding accident. His mangled shoulder required reconstructive surgery and his golf career was put on hold indefinitely. Little did he know what a life-changing moment the accident would turn out to be. "I always believe that when one door closes, another one opens up," Owen said. The shoulder injury closed to door to golf for more than a year. There was very little he could do to maintain his skills. Frustrated and anxious, he looked for another avenue to fill the void in his life and found it with music. He discovered a guitar in his roommate's closet and immersed himself in another learning process. 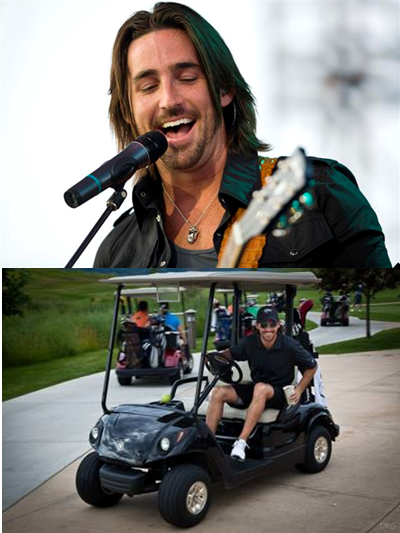 "I had lost my interest in golf, since I couldn't play, and found a new love with music," he said. He taught himself how to play the guitar, slowly learning chords and songs. Before long he was writing his own songs and performing at local establishments. He soon moved to Nashville and not long afterwards found himself with a recording contract. "It seems like every time you make plans, life sort of happens," Owen said.